Ndamukong Suh has been a Pro Bowl player in three of his first four years and the Lions have been committed to keeping their core players. Playoff runs start in the offseason. Not just with the players’ workouts but with how the front office addresses areas of need and manages the salary cap. Now it’s time to do the same with defensive tackle Ndamukong Suh, who has only one year remaining on his original contract. The sooner something gets done the better because the cap hit for Suh next season currently stands at a whopping $22.4 million. 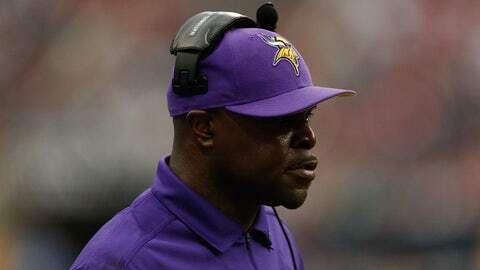 The Detroit Lions have added a second former defensive coordinator to Jim Caldwell's coaching staff. The Lions can lower that figure considerably with a contract extension, which would then create much-needed room under the cap to pursue free agents. In this salary-cap era, the Lions are going to be way too top heavy with what they’re paying Johnson, Stafford and probably Suh. But Suh has been a Pro Bowl player in three of his first four years and the Lions have been committed to keeping their core players. They just have to hope Suh’s demands will be reasonable. If not, maybe they have to seriously consider going another direction. What’s interesting is that Suh is in the process of switching agents — from former Lions player Roosevelt Barnes to possibly Jay-Z, the rapper/entrepreneur who has added representing athletes to his resume. How a change like that might affect contract negotiations would be interesting to follow. 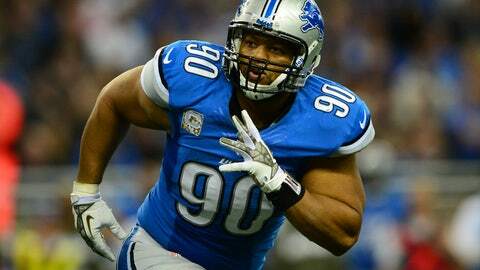 General manager Martin Mayhew recently told reporters that Suh has "expressed that he wants to be here long-term." If he also wants to have enough talent around him to win a Super Bowl, Suh will be smart, not greedy, and accept a little less. Otherwise, with the lucrative deals already in place for Johnson (a $132-million deal that carries him through 2019) and Stafford (a three-year, $53 million extension that takes him through 2017), the Lions aren’t going to have enough money under the cap to build the depth that’s needed to compete for a championship. Running back Joique Bell, one of the most underrated players in the league, is a restricted free agent so he’s a no-brainer to re-sign. The other five — tight end Brandon Pettigrew, defensive end Willie Young, backup quarterback Shaun Hill, center Dominic Raiola and kicker David Akers — are all unrestricted free agents. The Lions probably would prefer to bring back Pettigrew and Young, but both might generate some interest on the open market. The question will come down to whether the Lions can afford the price and whether the players want to stay in Detroit enough to possibly settle for potentially less money. It can’t be stressed enough that the salary cap is a major concern for this club now and into the near future, especially if Suh gets a mega-deal. Hill is considered an ideal back-up for Stafford because he accepts the role perfectly but has been good enough to step in and produce if needed in the past. Who knows what type of offer he might get from another team in desperate need of a reliable veteran QB? Raiola, a 13-year veteran with the Lions, desperately wants to finish his career in Detroit and he played well enough to deserve another one-year contract while the club grooms someone to replace him. Akers, meanwhile, is coming off a mediocre season, but he could be better in 2014 with another year removed from his groin injury that ruined 2012 for him. The Lions have to decide whether they can find someone better in free agency for a reasonable price or possibly use a draft pick on a kicker as they did last year in taking punter Sam Martin in the fifth round. This year, they need to target one of the best cornerbacks available. The Lions have drafted four cornerbacks — Darius Slay, Bill Bentley, Chris Greenwood and Jonte Green – in the last two NFL Drafts. Slay, a second-round pick last year, did not live up to expectations in his rookie season, but he still has some talent that could be developed in time. The Lions, however, need to bring someone in to start immediately and try to fix never-ending problems in the secondary. Some of the top corners eligible for free agency, according to Pro Football Focus’ ratings based on 2013 performance, include Miami’s Brent Grimes, 31; Indianapolis’ Vonte Davis, 26; Denver’s Dominique Rodgers-Cromartie, 28; Carolina’s Captain Munnerlyn, 26; and Tennessee’s Alterraun Verner, 25. Another crucial factor for the defense will be whether their so-called top cornerback, Chris Houston, who was re-signed to a five-year contract last March, can bounce back from a down year. The two obvious directions that they could go, based on biggest needs, are receiver and cornerback. It would make sense to address one in free agency (probably cornerback) and one early in the draft (probably receiver). Much can and will change after the NFL Combine next month, but from early reviews, the draft appears to have some high-end receivers who could fit in nicely. Daniel Jeremiah, a former scout and current analyst for the NFL Network, projected seven receivers going in the opening round of his first mock draft. The best-case scenario for the Lions would be that there’s a major run early on quarterbacks and offensive tackles, allowing Clemson’s Sammy Watkins to fall to them. Don’t count on it. Watkins, more than likely, will be gone when the Lions pick. He would be an ideal playmaker to give Stafford another weapon to complement Johnson. Texas A&M’s Mike Evans, currently penciled in by Jeremiah for the Lions at No. 10, is another possibility. He is 6-foot-5, doesn’t have blazing speed, but has been compared to Alshon Jeffrey of the Chicago Bears because of the way he can go up and catch the ball. Two others to watch closely at the Combine workouts are USC’s Marquise Lee and Florida State’s Kelvin Benjamin.